Stay classy, life is a peach! 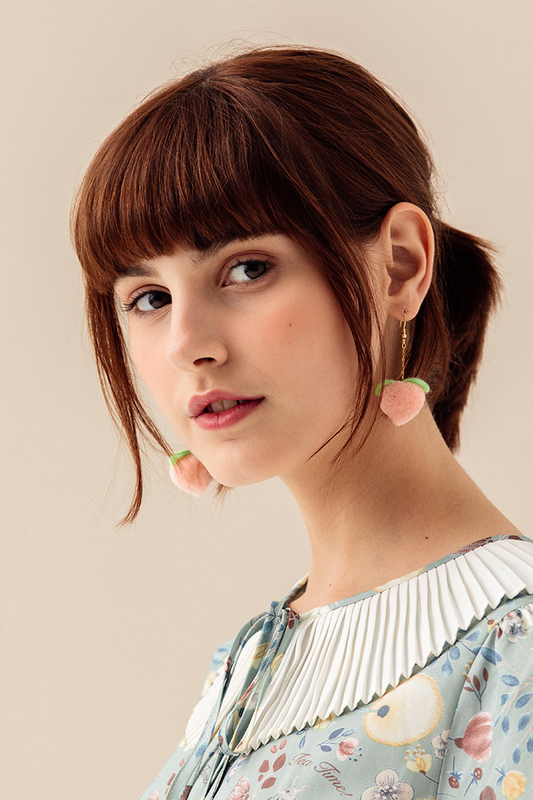 Handmade peach pom earrings add a little extra to summer look! Note: earrings can’t be returned for hygiene reasons, thanks! Take care to avoid extreme humidity, heat and perfume as this may cause tarnishing. Stay classy, life is a peach! 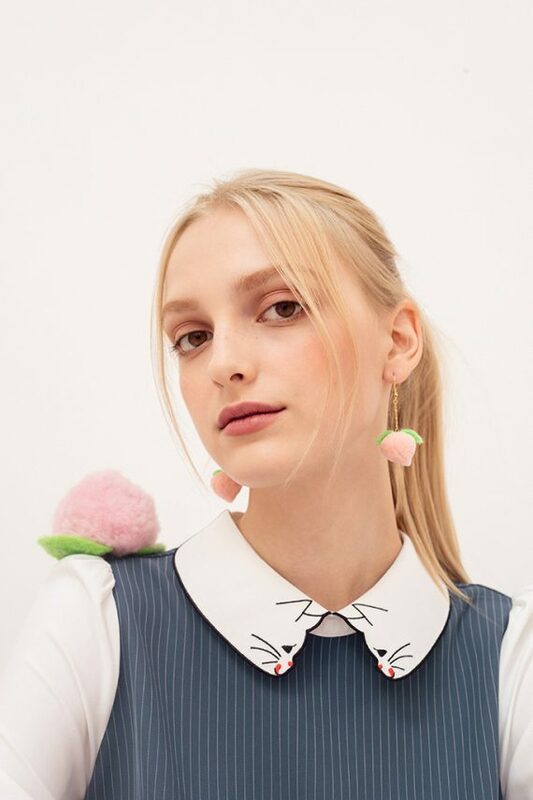 Miss Patina statement peachy kitty embroidery shirt for upcoming summer! Keep calm, and stay peachy! A consistently versatile item, but not your average black culottes. 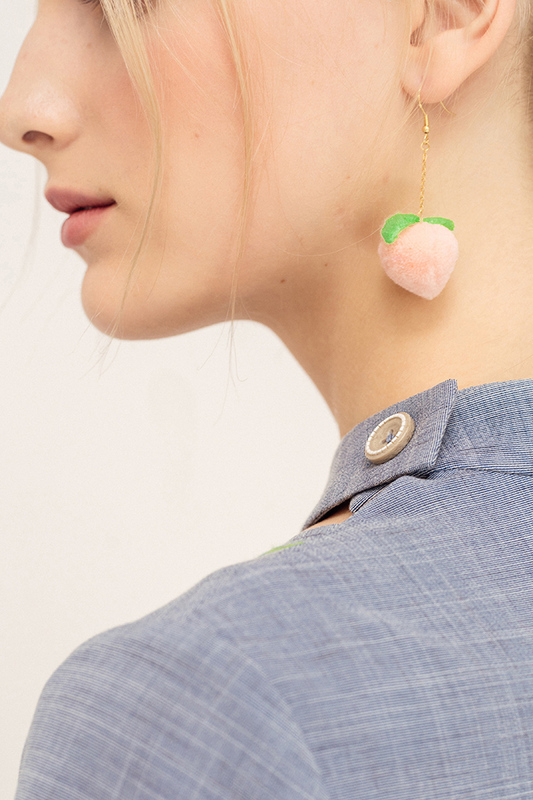 Add some fun and peach to your spring wardrobe! Miss Patina new original Peachy Kitty collection! Stay classy, life is a peach! 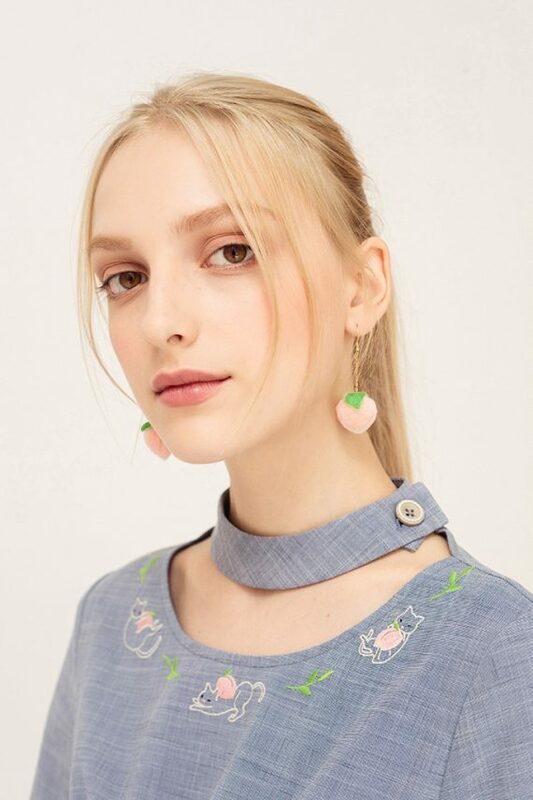 Miss Patina statement peachy kitty embroidery dress for upcoming summer!